Greenwich Market is a 5 minute walk from the Cutty Sark tube station and the Greenwich Maritime Museum. It's famous for its vibrant atmosphere and for showcasing designer makers, unlike any other London market. First looks may fool you into considering this as a 'small fete', perhaps even bringing back memories of school. However, once you step in, you might as well spend a few hours browsing through the collectibles and humming to the tunes played by students from the nearby Trinity College of Music. The Greenwich Market is a good place to shop for memorabilia and women's accessories. You can find numerous T- shirt artists here who would be ready to design shirts for you on the spot, which also makes it an ideal spot to shop if you are running out of ideas for gifts. The market houses well over 120 art and craft stalls, each distinctly unique. 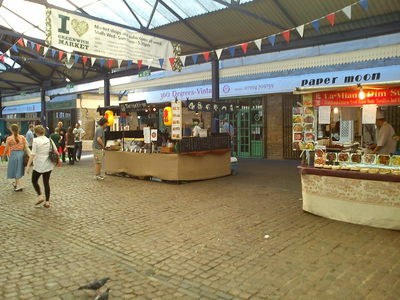 Coach & Horses and Admiral Hardy are two good pubs inside the market, if you fancy a glass of wine. 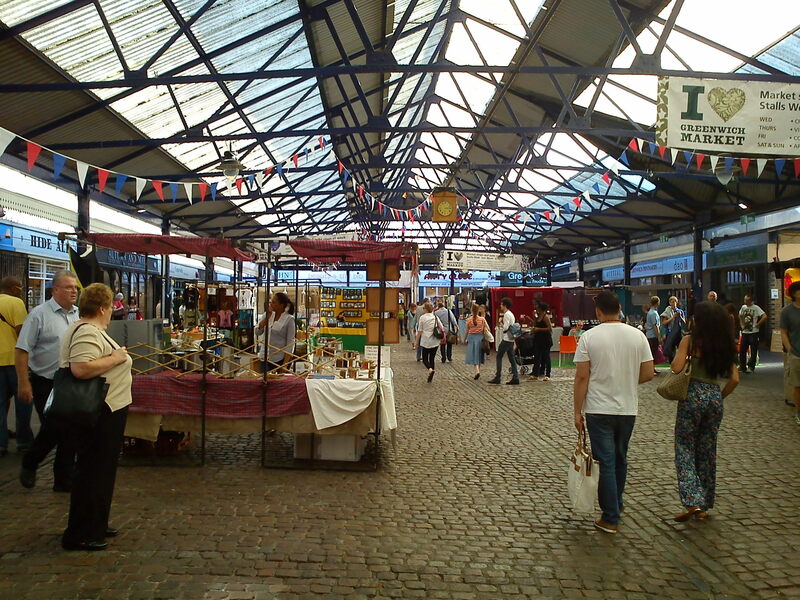 The Market itself is open Tuesday through to Sunday, with arts, craft and food stalls on Wednesday, Saturday and Sunday; with antiques, vintage and collectables on Tuesday, Thursday and Friday. 10-5:30pm. We would recommend this market as a must see if you are looking for authentic London collectibles, cheap jewellery and women's accessories or gift ideas.